Growing up in Orlando, Fla., during the construction of Disney World had a major impact on Mike McKinney. Seeing his hometown transform from a lush natural area to an urban development strengthened his appreciation for the environment. He went on to pursue degrees in biology, geology and environmental science, and earned a Ph.D. in geology and ecology from Yale University. “Of course, when you care about the environment, you want to be an educator because you want to reach out to as many people as possible,” says Mike. 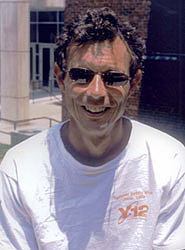 Mike, who now lives in Knoxville, Tenn., works at the University of Tennessee as a professor of evolutionary biology and environmental science, the department head of earth and planetary sciences, the director of the environmental studies program and an advisor to the student environmental club. 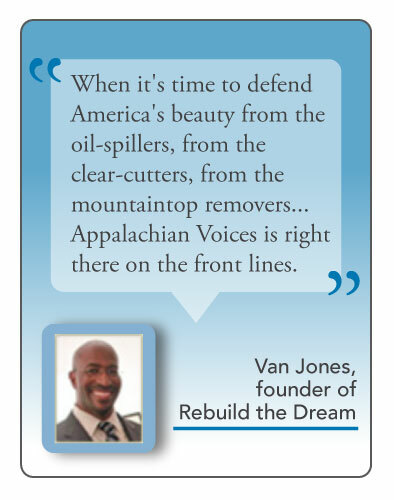 Since 2009, as part of a service component of his courses, he gives students the option to help him distribute The Appalachian Voice. Mike keeps a list of 20 places that they frequent, which include Mast General Store, Whole Foods, The Fresh Market and Three Rivers Market. In Knoxville, Mike works with graduate students to create more sustainable cities and bring urban wilderness into highly populated areas where people can easily visit. He also conducts biodiversity surveys on endangered cave ecosystems and studies mussel and land snail conservation. As the environmental club advisor on campus, Mike works with students on energy policy campaigns against mountaintop removal coal mining. While Mike keeps himself busy, he enjoys hiking throughout the Appalachian region in his spare time. A few of his favorite spots include the Appalachian Trail in Hot Springs, N.C., Big South Fork National River and Recreation Area in Oneida, Tenn. and Frozen Head State Park in Wartburg, Tenn. Between educating students, researching biodiversity and hiking, nature plays a major role in Mike’s life. We are grateful to have him and his students as part of the Voice volunteer distribution team.